Stone, a confidant of President Donald Trump, was arrested after being indicted in Special Counsel Robert Mueller’s investigation of alleged Russian meddling in the 2016 presidential election. Thanks for clearing that up, Sarah. But it sure looks and sounds like more ticking and tocking on this end. Time marches on. As does Mr. Mueller. We also saw how out-of-touch the administration is watching comments by billionaire Commerce Secretary Wilbur Ross say he doesn’t ‘quite understand’ why furloughed federal workers are going to homeless shelters to get food, musing that workers who have missed paychecks should simply take out loans to cover the gap. In Nebraska, state lawmakers finished 10 days of bill introduction. Nebraska lawmakers this year proved more prolific than any state senators dating back to 2005, according to the Omaha World-Herald. In total, they introduced 739 bills and seven constitutional amendments through Wednesday, the last day to introduce bills for this session. During the last long session two years ago, lawmakers introduced 667 bills and four constitutional amendments. Among the bills this year is a package of measures aimed at providing property tax relief. And comments by GOP Gov. 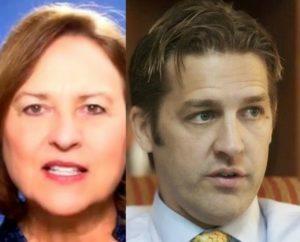 Pete “Gosh My Dad’s Rich” Ricketts to people at a rural Nebraska town hall that senators from urban areas of the state did not care about property tax relief got the attention of Lincoln Sen. Patty Pansing Brooks. In a Lincoln Journal Star story, Pansing Brooks rebuked Ricketts for his comments that he would not sign any bills raising sales or income taxes to offset the cost of providing property tax relief, adding urban senators likely wouldn’t support those measures either. 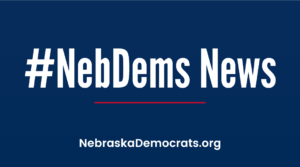 Pansing Brooks, a Democrat who represents District 28 in the nonpartisan Legislature, said Ricketts’ comments were “just plain wrong,” creating a divide between Nebraskans. “I am very disappointed that the governor is speaking about taxes in a way that pits rural and urban areas of our state against one another,” she said. The longest government shutdown in U.S. history shows no sign of resolving, and Americans wonder what President Trump and his team are doing. Now we know. They are doing the important work the people sent them to do. They are elongating Trump’s fingers. The tech website Gizmodo reported this week that it found at least three retouched photographs on Trump’s social media pages since October, including two in the past few days, in which his body and face have been slimmed, his face and neck wrinkles tightened, his hair cleaned up — “and in one of the strangest alterations, Trump’s fingers have been made slightly longer. Trump’s reputedly stumpy hands have long been of concern to their owner, at least since the editor Graydon Carter called him a “short-fingered vulgarian” in 1988. After being teased by Marco Rubio, who posited that small hands correspond to another small body part. 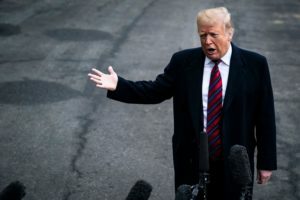 We leave you this week with an observation from the Post’s FACT CHECKER team, which noted that in his first two years in office, Trump has made 8,158 false or misleading claims, including more than 6,000-plus in year two. 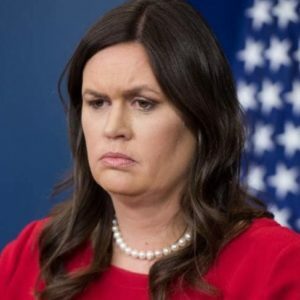 But we are sure Sarah will say that’s simply not true.